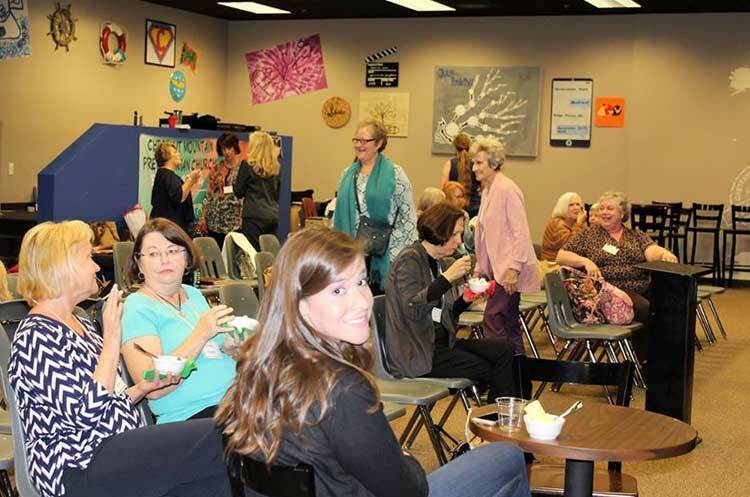 What does God do when 110 women from 14 different churches receive Biblical teaching from Isaiah 55? He touches hearts to know Him better and provides closer relationships with one another. 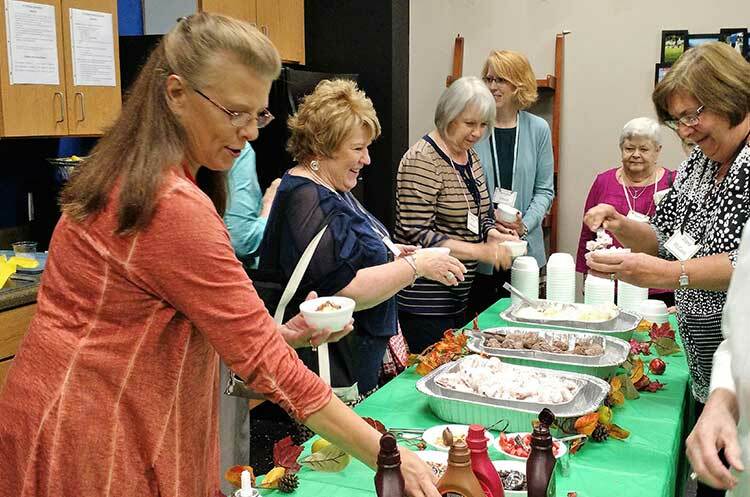 He even provided a sunny fall weekend, worshipful music, good food, and opportunities for fun and laughter. 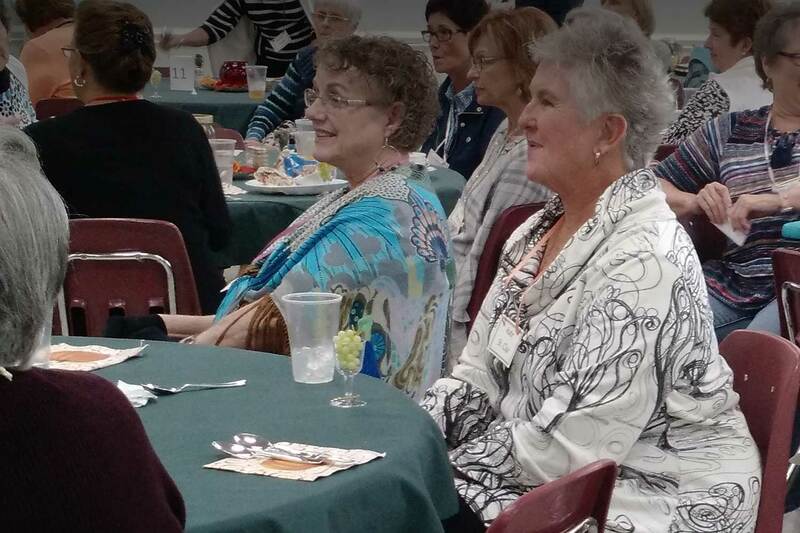 The CMPC Women’s Fall conference took place October 20 and 21. Our teacher, Kayanne Staub, led us to Jesus, Who invites us to come to Him, repent and bear fruit. 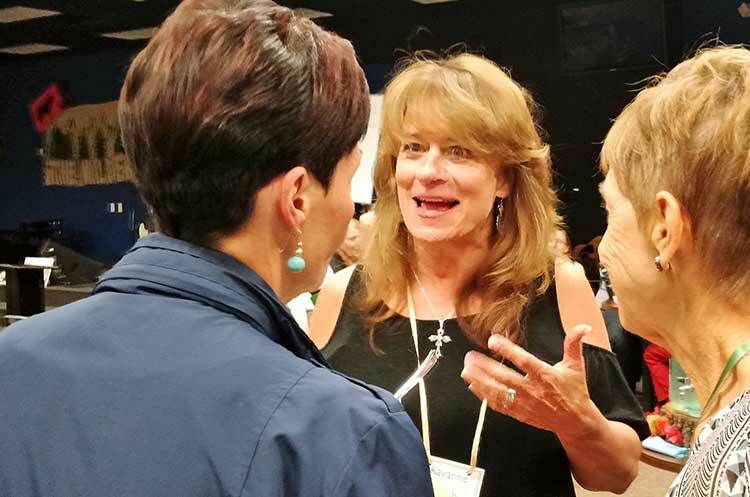 Sharing from her own life experiences as a school and Bible teacher, wife of the founder of Eagle Ranch, mother and friend, Kayanne taught the truth of God’s Word through Isaiah 55. 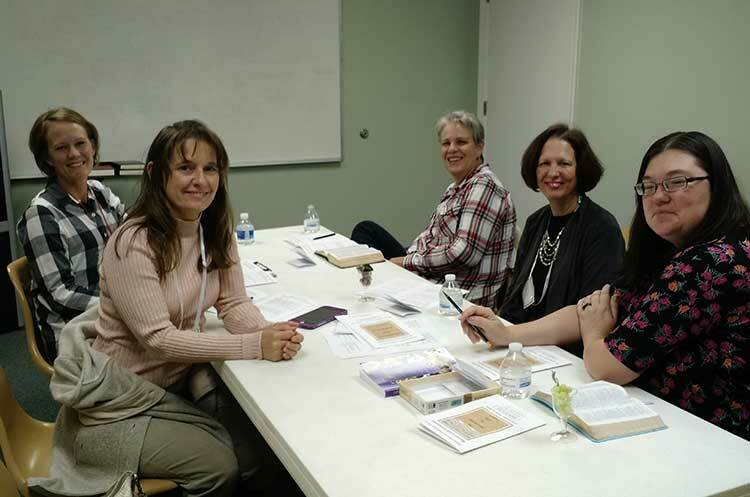 The women had time to reflect, share in small groups and pray during alone time with God. 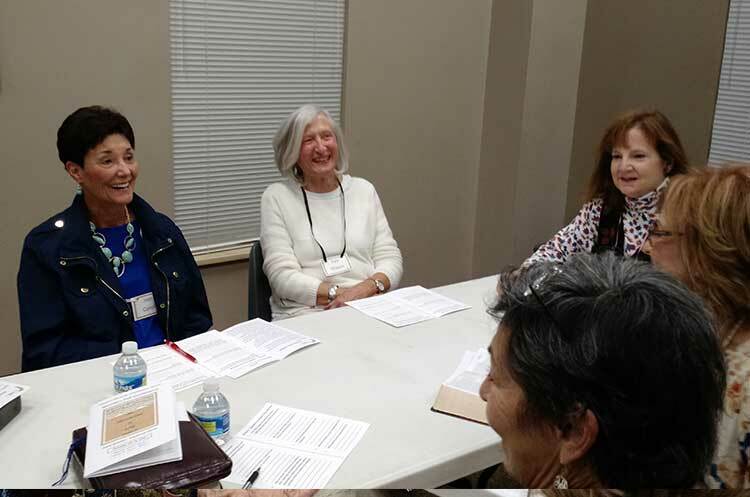 Our teaching times were enhanced with songs led by One Achord, a quartet of women who love sharing their love of Jesus through music. The songs were chosen to further our reflection on the passage of each teaching session. God is the sure Satisfier (Isaiah 55:1-5), symbolized by wine glass ready to be filled. He invites us to come to Him for all we need … and it’s free! We can’t earn it or buy it or deserve it. In coming, we surrender to His leading and accept what He gives. God is the faithful Forgiver (Isaiah 55:6-9), symbolized by praying hands. The posture of kneeling before Him with our hands pointing upwards is a picture of our readiness to surrender to our Sovereign. Verse 7 leads us to repentance – forsaking our ways and doing an about turn to walk in God’s way. God is the fruitful Source (Isaiah 55:10-13), symbolized by a cluster of grapes. This passage is full of promises from our God (He says I “shall” eleven times in verses 11 – 13). We were reminded that God wastes nothing (“the ultimate recycler”) as He reverses the curse in our lives. 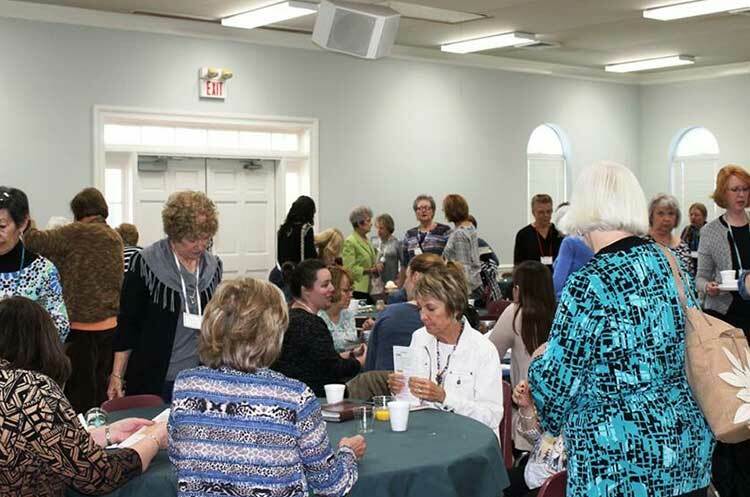 At the end of the conference, each woman who attended was given a reminder of what she had learned – a wine glass full of grapes with a praying hands token attached. The body of Christ united in service, praying, planning and working together to make the retreat happen. 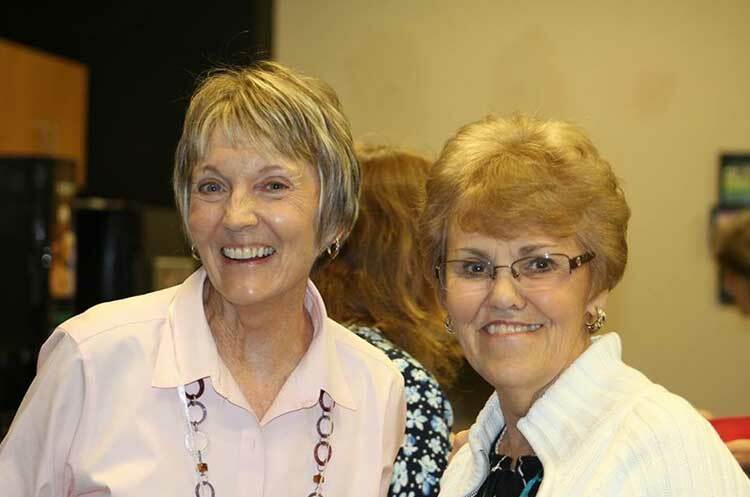 The CMPC Women’s Leadership Team developed plans throughout the year and recruited others. Almost 40 women were involved: leading small groups, preparing and serving food, handling registration, making name tags, providing graphic design of promotional and study materials, contacting other churches to promote the event, setting up classrooms for small groups, providing audio/visual services for the teaching sessions, and cleaning up (a lot of that!). The men of the CMPC session provided prayer and financial support. Deacons did the heavy lifting of setting up the fellowship hall for meals. Thanks to all, and to God be the glory! © 2017 Chestnut Mountain Presbyterian Church.